If you've recently done the big proposal and got a ‘yes’ then congratulations, and prepare to get planning a memorable bachelor party! It’s a given that the last weekend of single life should be an epic affair, but where to head for the expected weekend of fun booze and memories? Even if you aren't looking to send a buddy off in style, these cities make for an excellent destination for the ultimate European mancation adventure! There are no shortage of awesome stag do and bachelor party locations throughout Europe. It's a continent packed with ancient history and modern clubs as well as natural adventures. Our friends over at Last Night of Freedom created a cool "Last Night of Freedometer" that profiles the most popular stag and bachelor party destinations. However, here's our pick for Europe's coolest stag party destinations. OK, so this isn't a singular destination but you can visit a bunch of amazing islands, each with their own unique feel and plenty of clubs, restaurants, and bars. To make things easier, you should plan to visit the Greek Islands with Hostelbay's ferry passes. Islands included in the pass include: Mykonos, Paros, Naxos, Ios, Katapola / Amorgos, Thira / Santorini, and Heraklio with a departure port of Piraeus, just outside of Athens. The top choice for UK stag parties, London offers something for everyone. Whether you want a relaxing weekend of golfing, a comedy club a casino trip or a fun-packed time with driving a hovercraft, and a booze cruise, there’s a bit of everything. Most of the time your accommodation will be pretty close to everything too- the best activities, entertainment and nightlife tend to all be within 30-60 minutes walk of each other so there isn’t too much traipsing about. In between activities there’s a chance to explore London Tower, the bridge, the London eye, Wembley stadium and all the bits in-between. Follow up a spot of sightseeing with a trip to a German Bier-Haus where you can don the lederhosen and drink the schnapps! Cheap prices, loads to do and a buzzing nightlife, Prague is high on the list of stagcation destinations. Known as the “Golden City” or “The City of a Hundred Spires”, whether you’re going for some culture intake or a messy weekend away you can’t help but notice the striking sights and friendly atmosphere of the place. On top of that some of the best target shooting, tank driving and white-water-rafting activities take place in and around the city, providing an excellent platform for keeping all the lads busy. 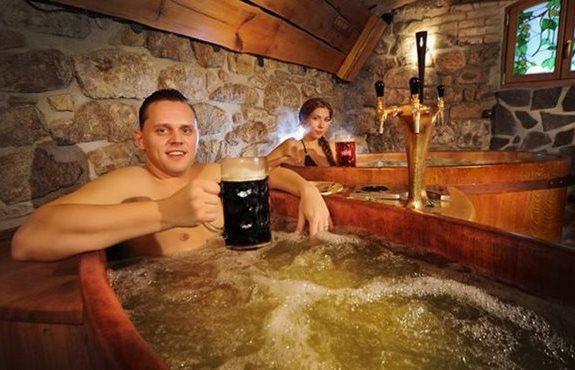 If you’re looking for something a little more unusual to fill your days in Prague is also the answer- it’s one of the only cities which offers a Beer Spa and Jelly Wrestling to max up the stag party kudos. To keep you busy in the evening there are great casinos, excellent bars and even strip boat trips to be tried out. Often overlooked in favor of the more well-known stag destinations, Budapest offers a plethora of excellent activities and attractions. From the bustling Liszt Ferenc square, which is full of excellent café’s and bars, to Raday Utca, which is the Soho of Budapest, there’s a lot for a group of young stags to see and do. 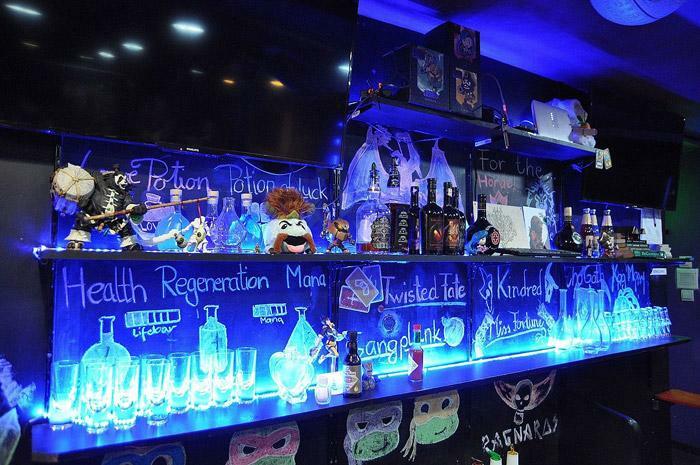 If your stag party group is a bit geeky, you'll also want to check out BarCraft to re-energize your lifebar. No matter what style of nightlife you are looking for, Budapest has a great variety of it to explore. This includes not just the hip and chic options but the classic as well. For instance, Faust Wine Cellar which is one of the oldest cellars in Europe and offers a great atmosphere and even greater wine. Traditional food over there is super spicy goulash soup which is packed with beef, chilli and Hungarian paprika, but if that doesn’t appeal then there’s also a variety of other cuisines. For an injection of the unusual take the lads to a Trabant Rally - drive one of these collectible classics through the streets of Budapest in an energetic and unique stag experience. Although these four options are thoroughly first rate, there are many other great destinations in Europe including Amsterdam, Rome, Bratislava and Krakow. No matter which destination you decide to head to with your boys, make sure to plan well, book early and have a terrific time! Marbella will be the home to the England football squad for a training camp just before Euro 2012 and whoever the manager might be will have his work cut out trying to keep the lads out of the various restaurants, bars and clubs that line this coastal nightlife hub. It’s no surprise that many celebrities have holiday homes in this resort town – the sun shines almost every day of the year and there are miles and miles of golden sands. The capital of Latvia is one of the most vibrant and modern capitals in Europe. The population is close to 750,000 so the area offers loads of great forms of entertainment and some excellent restaurants and bars. Between eating and drinking there’s a chance to appreciate why the city earned its UNESCO World Heritage Site status- there’s lavishly beautiful streets and the culture-rich Old Town. On top of that it’s known for its Riga Black Balsams liquor- a must try for any stag group. 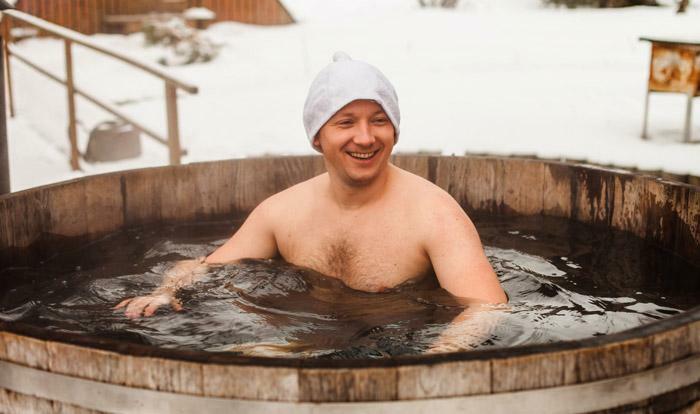 Warm up with a sip of the potent liquor then don the snow boots for an adrenaline-packed afternoon snowmobiling - followed by a soak and sauna. For the big stag evening you can feast on a traditional medieval banquet, throwing on Viking horns and being served by stunning wenches! Plus, what guys weekend or stag party would be complete without touring some of the coolest ex-Soviet Russian aircraft including helicopters, fighter jets, and the supersonic Tu-22M1 bomber at the Riga Aviation Museum? Warsaw is another great city that might be off the beaten path a bit compared to other destinations but there are tons of opportunities here for guys seeking an ultimate stag party or lads holiday. From clubs like the New Orleans Club to the Polish Military Museum with exhibits dating back to the 10th century, as well as great food and beautiful architecture.